spotandcross | Making and Musing…. Call me unimaginative but I also really liked the black and white gingham as used on the pattern picture especially as a cotton fabric is what is needed for the hot Australian summer. Hence I selected a micro Gingham to use. I knew immediately that I wanted to spruce it up a bit with a touch of colour and selected some red buttons and bias trim to contrast with the dress. Size –wise, taking in to account the bust and hip measurements as stated on the pattern envelope , it was dictating that I went with the medium. However, given that I have small shoulders and as the garment is non – fitted. I opted for the small size. This was a wise move as the small fitted my proportions perfectly. The first change I made was to the fly front. I wanted my buttons visible and so I cut two left front bands (pattern piece 3) and omitted right fly – front (pattern piece 4). 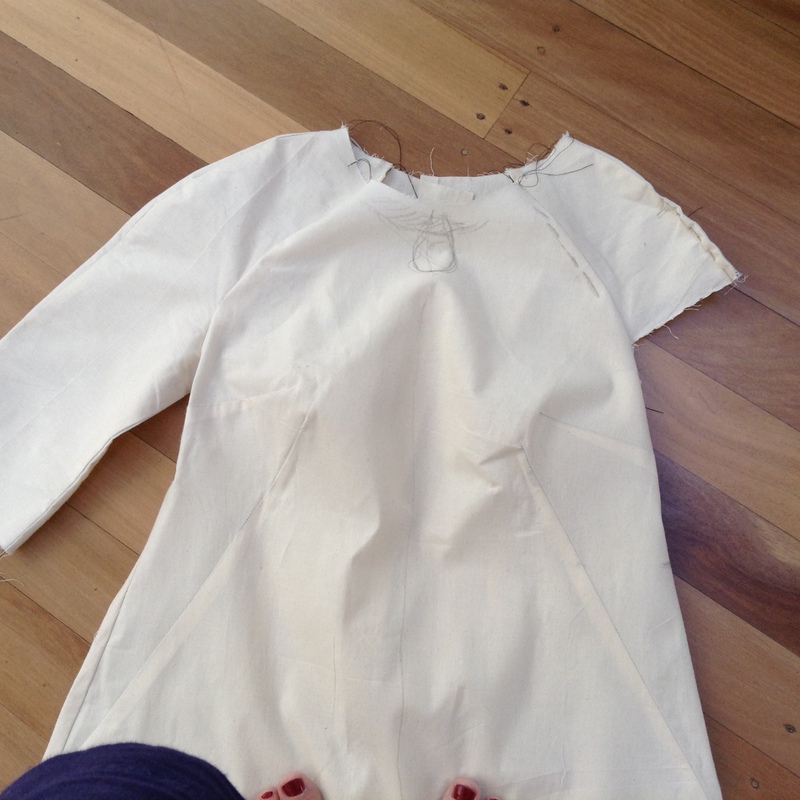 I am vertically challenged and so shortened the pattern by 2.5cm just below the armhole. I chose to shorten here, rather than lower down so as not to interfere with the pocket positioning on the A – symmetric pattern. The pattern comes together very nicely as so often Vogue patterns do. The instructions are thorough and very well explained. 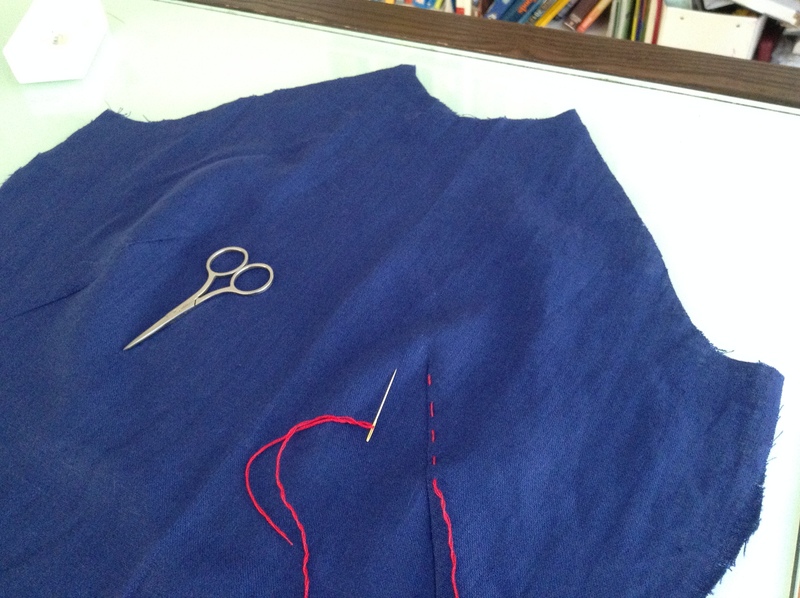 I decided to bring in the red bias trim to neaten the pockets, sleeve edges and hem. I also topstitched the back neck darts in red top stitching thread to make a feature. A tricky edge to finish was the armhole – where it meets the side seam as it’s a quite a severe, hooked shape. Next time I would bind the armhole first. Then sew up the side seam afterwards. I would overlock the side seam and hand stitch the underarm edge at the top so the overlocking will not unravel and it won’t show. The casing for the elastic was also a little tricky to position once the side seams were stitched. Next time, if I wanted to include the elastic I would leave the left side seam open until after I had sewn the casing in place on the flat. (the casing does not go across left side seam so it is not an issue). Positives: I like quite a bit about the garment. Its quirky and a little bit different! I really love the cap sleeve shape and the darts at the back neck. The collar also sits very nicely. Negatives: I hate to admit it but I dislike the elastic feature!!! 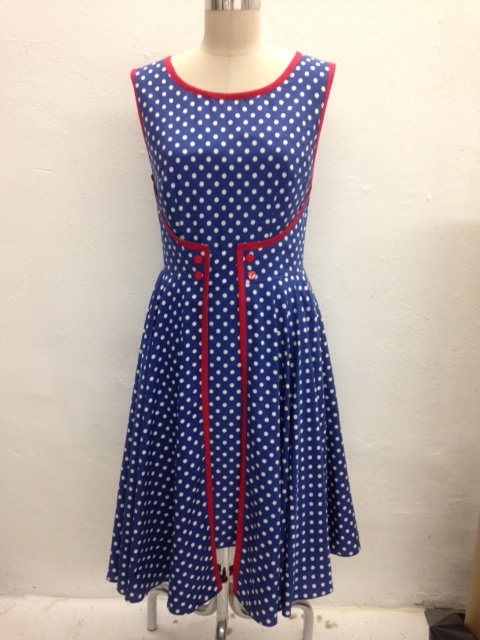 It is jut a bit too bulky and a bit too home dress-maker for my liking…. It’s a shame as this is one of the features that attracted me to the pattern in the first place. Also – constructing a wide elastic curve isn’t necessarily a good idea.I do think this feature will look great on a taller model however! I have decided to wear it loose and tent like which isn’t the most flattering for a small person and have lopped a few cms off the bottom of the lower side as on me – it was just hanging too low. Its always possible to tell when someone is passionate about what they do and this is exactly the vibe I get from Deborah the owner of Sydney’s Buttons Buttons Buttons. I met the Button Queen herself in her beautiful new shop, which is situated in the heart of Sydney in The Dymocks Building in George Street. Deborah has just been up routed from her original shop of fifteen years which was based in The Rocks area near Circular Quay and I can tell that it is taking a while to feel comfortable in her new surroundings up on the fourth floor of this historic building. I enter her shop via a beautiful doorway, which frames the entrance to a Pandora’s Box; jammed full of exquisite and unusual button specimens. There are buttons made in glass, coconut, diamante, shell and metal. There are colours in every shade and hue to enhance anything you are making. There are kids buttons, novelty buttons and buttons in every size. My personal favourite are the leather buttons which are beautifully crafted and come in varying shapes and tones some also with contrasting stitch detailing. Chatting to Deborah. I realise that she has put her heart and soul in to her business. Her product knowledge is extensive and she goes to enormous lengths to find the beautiful pieces that she sells in her shop. Buttons are sourced all over the world and in particular, the vintage and antique pieces which are more often than not, found in France or other European countries. I have been sewing for years and believe that its not necessarily the complexity of the garment that makes it special but more the finishing touches, the attention to detail and the trimmings that have been used. Quite often the rule of Less is More is worth adhering to. A button should be functional but also aesthetically pleasing. It can spoil or totally enhance a project. Ultimately, trying to find the right button for a garment can at times be a thankless task as there is not a great deal of choice to be had on the high street. Often we find ourselves walking away with a heavy heart full of compromise and a small paper bag containing some non – descript, mass – produced offering. What a delight then it is to have this shop right on our doorstep! Even if you are out of town the shop is really easy to get to by train, as it is a short walk from four of Sydney’s most central train stations. So what’s stopping us?! Buttons Buttons Buttons. Here we come! I have always been a woven girl with my fabric choices and have advanced over the years from humble cushion cover beginnings to sewing fully lined coats and jackets. As my competence with woven’s has progressed I have moved further away from any inclination to try to work with the two-way stretchy stuff. I prefer stability and over the years have endeavoured to select my fabric in much the same way as I go about my life. For I have inherited the non-risk taker gene handed down from my father and my father’s father before him. It’s nothing to do with lack of intelligence. More a case of being happy with ones lot and not wanting to lose any of it. Also enjoying being good at something and not having to start all over again. That is until my phobia for swimwear shopping got the better of me. For the last few summers I have made do with what I have been wearing for the past five years. As I can not face trying on what’s on offer in the shops. Most of what I have tried is un-flattering, ill-fitting or hideously expensive. Now however, what’s left of my own depleted supply of bathers, have become hazardous to both myself and whoever crosses paths with me. They have become shapeless, un-supportive, pilled and perished (one of the major down sides of lycra’s life cycle). Once it comes in contact with chlorine its days are definitely numbered. So – when I noticed a stretch swimwear course being advertised at the Bobbin and Ink Workspace and Studio In Sydney. I thought why not? I love a workshop after all! How wonderful to be able to create a tailor-made one piece at a fraction of the price! The course is nine hours in total spread over three weekends. Here, under the expert guidance of Susan from Measure Twice Cut Once, you are taught all the tricks needed to work successfully with Lycra. Using commercial patterns, you learn how to line garments, insert bra cups, fit the swimsuit to your own personal measurements and insert or stitch elastic in all of its various forms. On top of this, you learn how to get the best possible stitch result from subtle adjustments of your sewing machine. I totally loved the course and learnt an abundance of tips and tricks from Susan who was more than willing to share her broad knowledge of swimwear for production. My FOL has now been replaced by lycra sewing obsession! Bobbin and Ink also happens to be a very cool place in which to be spending time. It is a hub of arty innovation with heaps of inspiration occurring all around. A screen printing class was taking place on the very same day. So if you are needing to get your creative juices flowing, this is certainly the place to be! Cinderella goes to the Frocktails Ball! Not even the freak weather conditions of giant hail stones and torrential downpours,this weekend, would stop me from attending the highly anticipated event that was Sydney Frocktails Especially as at first there were no tickets available!!! Just call me Cinderella because whilst anguish and despair were setting in, a miracle occurred and I was fortunate enough to be granted a ticket at the last minute as someone dropped out. I’m not denying that I felt a fair bit or trepidation as I headed on the bus in all my handmade finery to the event at The Edinburgh Castle in central Sydney. I popped a couple of mouth fresheners to calm me down and loitered on the corner until they had dissolved before heading in to the venue. As soon as I entered I was greeted by my Fairy Godmother – the very gracious Caz Adams who had organised the event. Caz directly made me feel at ease and my neves started to subside not least because I was deeply distracted by what she was wearing. Formalities dealt with, I willed myself forward in to the room full of strangers. There is nothing to make you feel more self conscious when you turn up on your own to a sartorial event than a person wearing the same dress as yourself and yes – you’ve guessed it – that happened to me! (well fabric actually) Downing my cocktail and striking a pose for the camera – I started to relax and feel more comfortable and really gelled with my fabric twin especially as she had made a very impressive handbag in the same material also. How to describe the vision in the rest of the room before me? – Well in a nut shell, it was a froth of chiffon and print. There were colour coordinated ensembles with matching shoes.Vintage style dresses. Expertly fitted garments with unique tweaks and finishes which is what we fellow sewists spend hours working to achieve. Words were banded about that only those in the know understood such as ‘Indie Patterns‘, ‘blind hem’, ‘stash’ and ‘rouleau loop‘. YES!! at last – I have found my people, all speaking the same language! The pinnacle of the evening was when, among a fever pitch of excitement, names were to be pulled out of the bag to win various prizes. Gift vouchers for material shops, downloadable patterns, fabric and haberdashery were some of the goodies on offer. As the evening neared to the end, with a few to many cocktails later, The camaraderie became more intimate. It started with the unashamed touching and feeling of one and others fabrics and impromptu lifting of each others skirts to see and admire how hems had been finished! There were compliments all round and blatant fabric envy all rolled in to one. Blurry eyed I retired home with a warm feeling that comes with bonding with like-minded people. A lovely connection with not only Sydneysiders but the people who had made the effort to travel from Melbourne, Brisbane and Canberra. Instagram buddies meeting in person with a common interest. I am grateful to the wonderful people that I met on Saturday – the Sydney Spoolettes and the Frocktails event that has fuelled me on to shift my lazy behind and further write and document my creative journey. Thank you everyone! Photos Courtesy of:www.usefulbox.com.au or @usefulbox! Taking The Cryptic out of the Crochet! Call me an Old Granny but I have suddenly become obsessed with Crochet! For the people that know and love me this will be considered a drastic switch of allegiance as I am primarily a sewer and have been all my life. I have have dabbled with knitting in the past and I enjoy this up to a point but it is a slow process and if a stitch is dropped due to inexperience it can be a soul less task to put right. 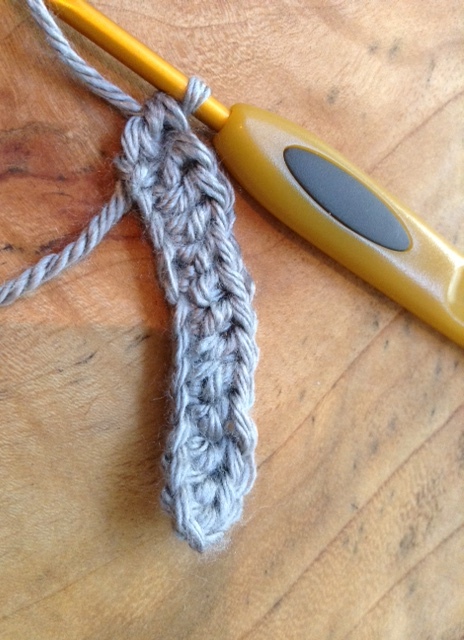 Crochet has always scared me but having taken the plunge and taught myself how – I now can’t leave it alone. The beauty of crochet is that if you make a mistake it doesn’t take much to put you back on track as essentially you only need to concern yourself with one chain rather than a whole row of stitches. So – at first it was a bit tricky but once I worked out the abbreviations and tricks of the trade like ‘Turning Chains’ – I think I have just about cracked the art. I also have made great use of the book – ‘Stitch Encyclopedia Crochet’ by Chronicle Books. This is a beautifully illustrated book which explains all the key crochet stitches in a step by step easy to understand manner. The book is a delight to behold as it is designed as if it is an heirloom with its choice of colours used, old fashioned fonts and understated but incredibly accurate illustrations. It is a gem of a book and a must to be passed on through future generations. Well I have always loved crowns harking back to Vivienne Westwood and the way she so cleverly uses them within her logo. I really fancied a brooch that I could wear on a lapel and spotted a few examples on the internet. 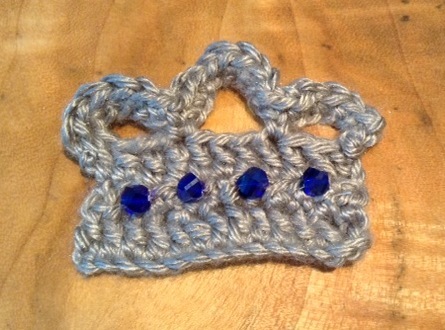 Here is a version and recipe of my own Crochet Crown to be worn as a brooch! Double crochet row. Get ready to place hook in to the fifth chain. So you are ignoring your 3 turning chains and the next foundation chain. 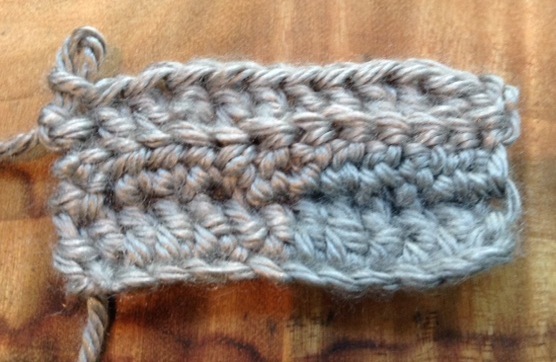 Start double crocheting from the fifth. Complete the row. Half Double Crochet Row – add 3 more turning chains, miss the foundation chain and work half double crochet from fifth chain to end of row. 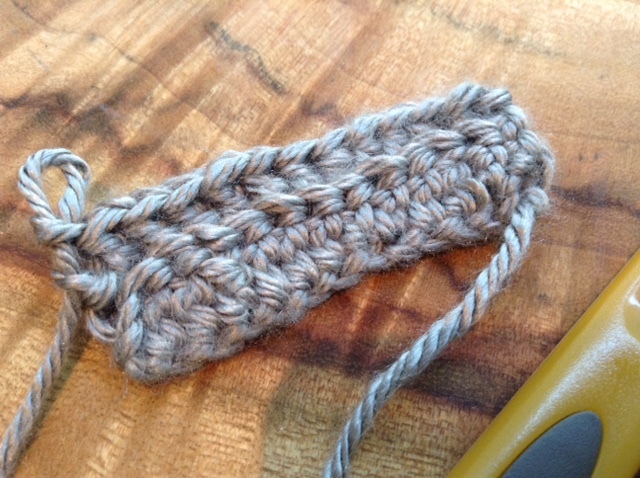 Double crochet row – add 3 more turning chains, miss the foundation chain and work double crochet from fifth chain to end of row. Top of crown. Chain 6. Miss 2 chains and secure in to the 3rd chain in previous row using a slip knot. Chain 10. Miss 4 chains and secure in to 5th chain of previous row using a slip knot. Chain 6 more and secure in to the last chain of previous row using a slip knot. 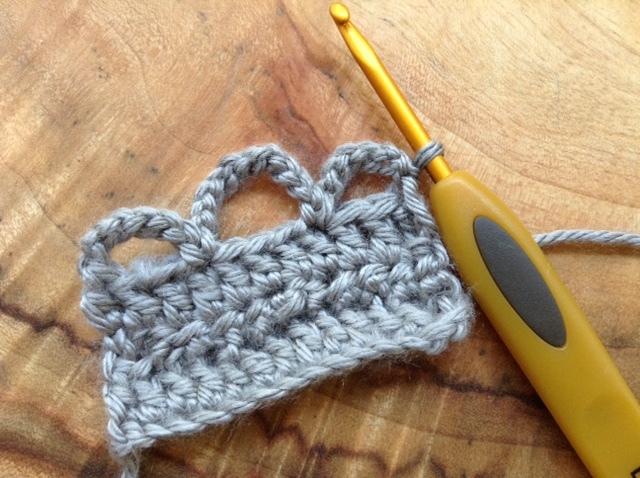 Work a single crochet through each chain in previous row to make top of crown more substantial. Trim and weave in ends to back of crown. Sew 4 glass beads on to front of crown. Sew a brooch pin on to the back. 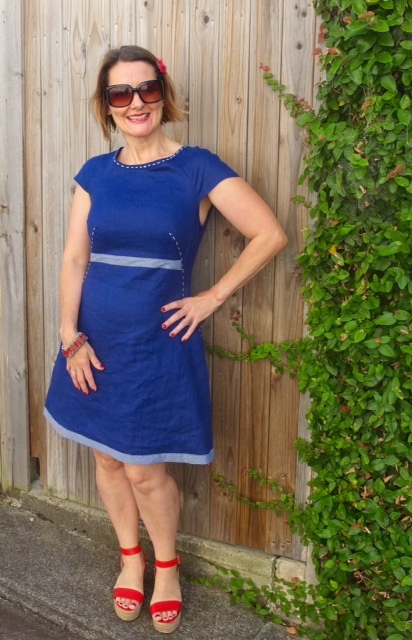 My version of Butterick 4790 – vintage Walk Away Dress! I have been in constant awe of Tilly Walnes ever since I watched the first British Sewing Bee series. 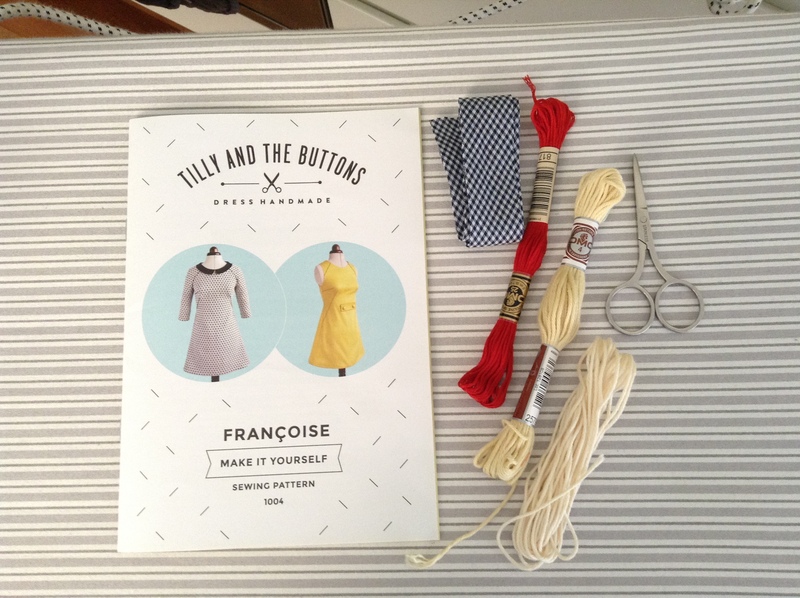 I love her blog Tilly and the Buttons and have spent hours pouring over her gorgeously presented book. She is definitely a girl who talks my language with her wacky clothing ideas and creativity. She also happens to share the same taste as me in her choice of comedy as she loves Miranda! I am a fairly obsessive sewaholic and so how could I resist having a go at the Sewing Francoise contest! The pattern is a delight. Beautifully illustrated with step by step photographic instructions and on really good quality paper. I love the confidence the pattern installs in me and the fact that I already feel like I am going to make the best dress ever! I decided I wanted to go with the Raglan version but make it in to a cap sleeve. This is much more summery but hides the top of my arms! I am a mixture of sizes but was able to get a really good fit by size combining and also taking 2cm out of the front length at waist as I am a short person – Perfect! Once the toile is fitted, I need to decide what colour embroidery thread to make a feature of seam lines with. I am using navy linen fabric and so originally chose red which looked lovely but did not look good in photos. So opt for ecru. I was lucky enough find a fantastic navy and cream gingham bias trim which is perfect to finish hem and tie in the hand stitching. Look at my dress – I made it myself!!!!! 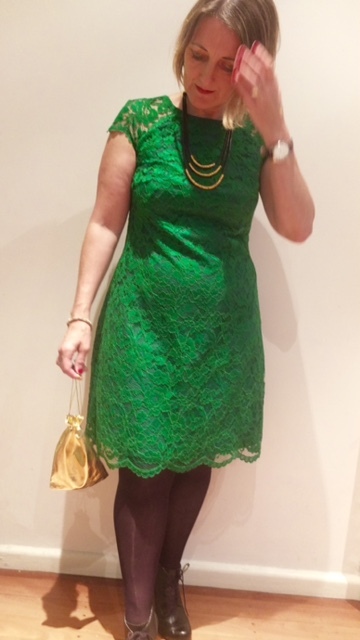 Also made a green lace one for going out.